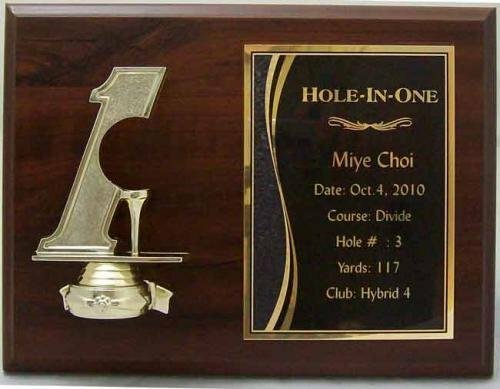 This Hole-In-One Golf plaque is a great display of an incredible accomplishment. Glossy mahogany-colored board measures 12" wide by 9" tall and features a plastic 1 sized to fit the ball used and a 7" wide by 9" tall black brass plate to record all the details. Price includes up to 150 words engraved on plate.